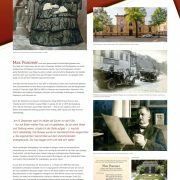 Keeping the tradition of our company’s founder Max Pommer we also feel responsible – beyond our commercial activity – to dedicate time to non-profit organisations – a city and a region are not only shaped by their economic structure but they also get their identity by their history, art, culture, music or sports. 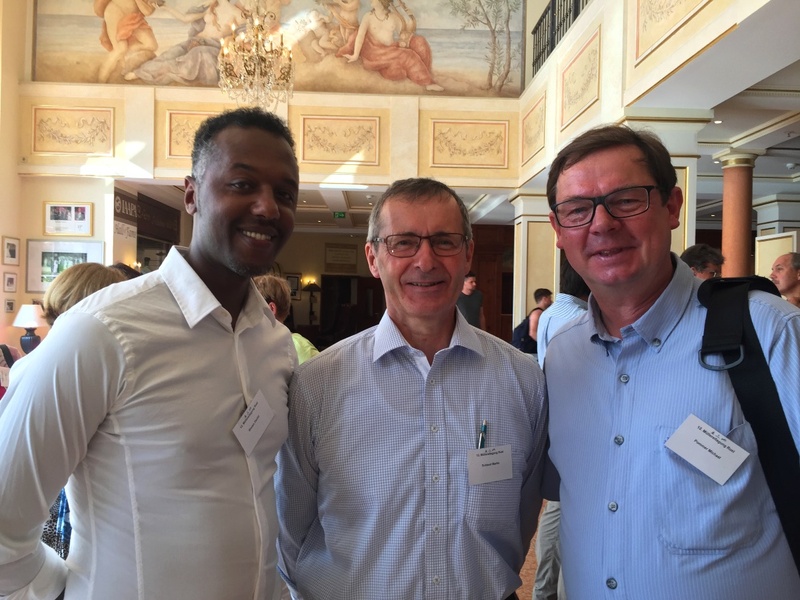 By our sponsorships and donations our company wants to make a small contributionto make a continuing cultural diversity and diversity of athletic interests in and near Leipzig possible. 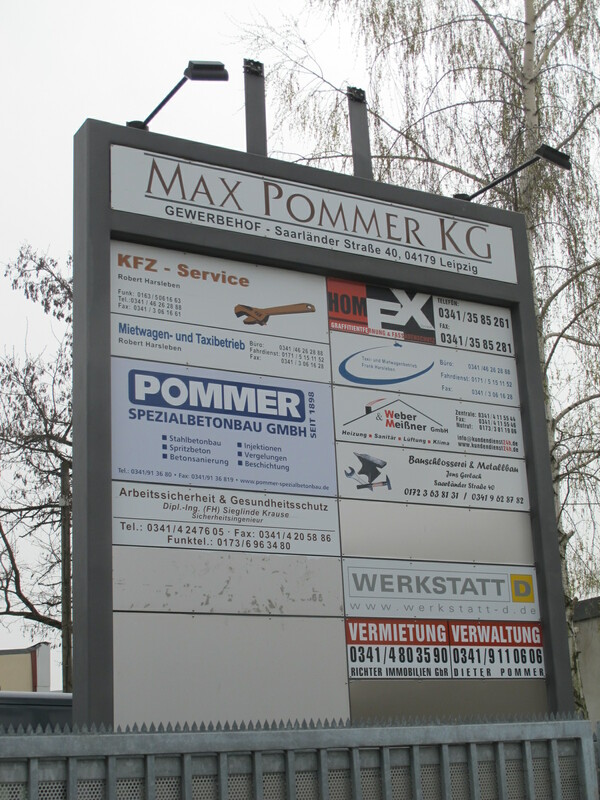 You find the addressees of our previous engagement on the right. 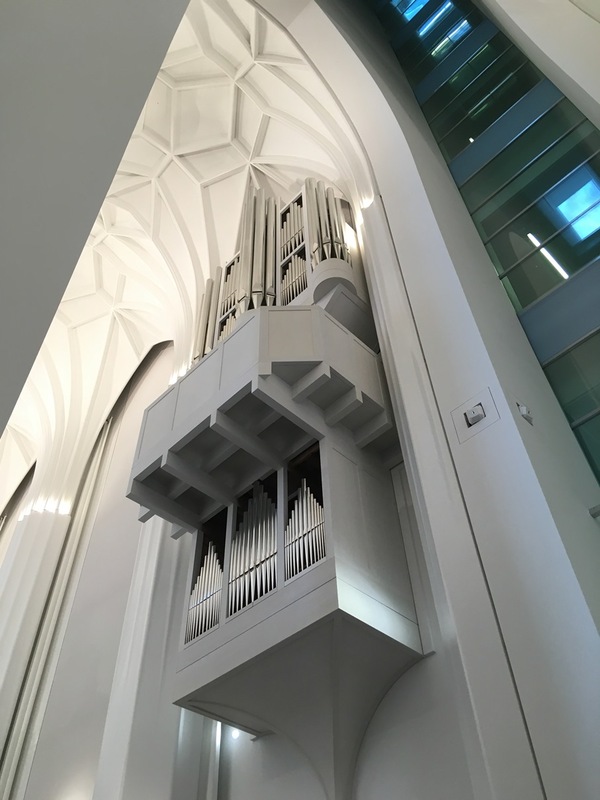 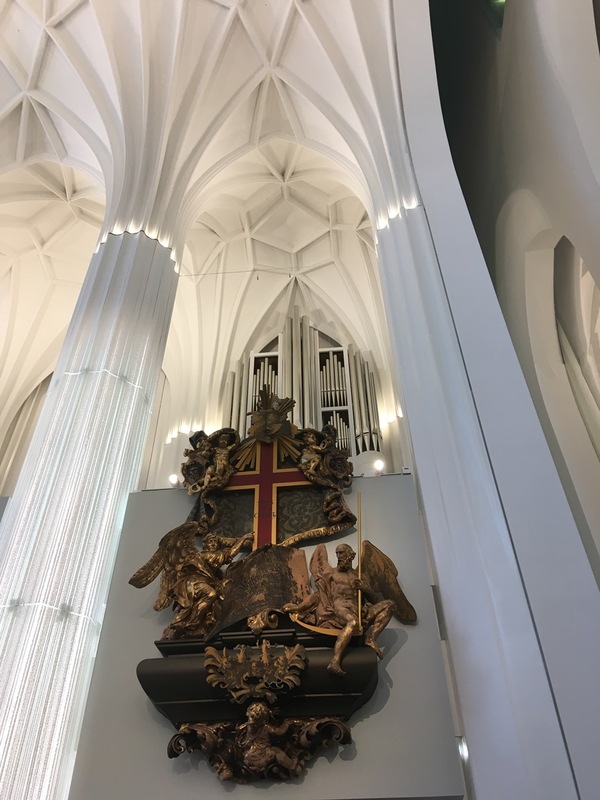 We support the Foundation University Church of St. Pauli in Leipzig in their plan to expand the Schwalbennest-organ in the sanctuary of the Paulinum by eleven to eighteen registers. 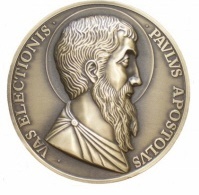 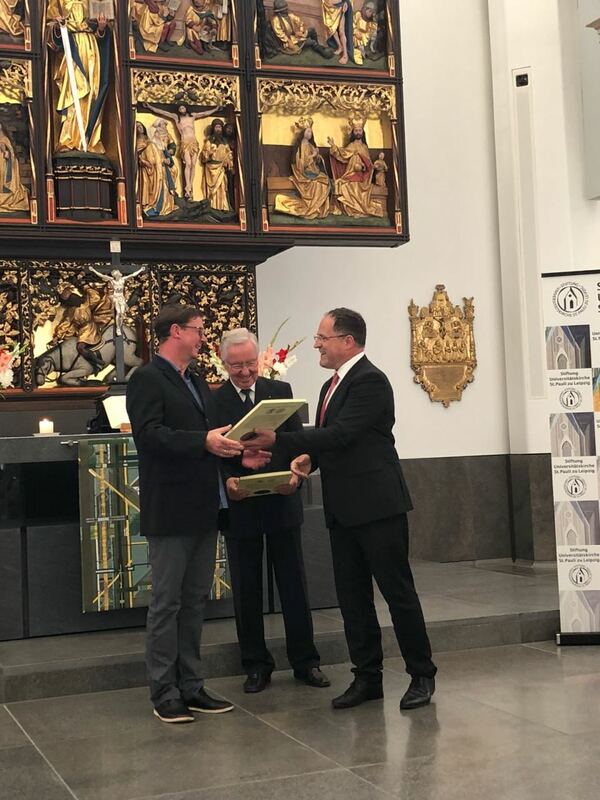 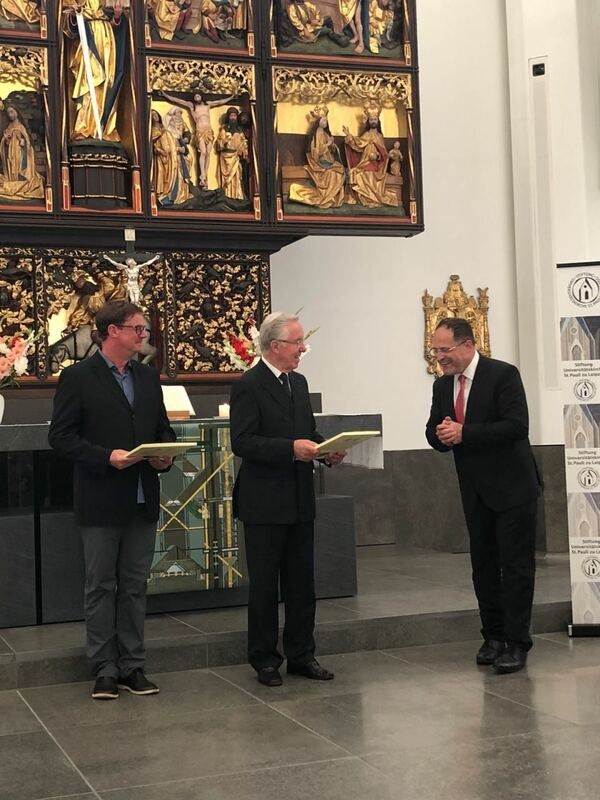 For this purpose, Michael Pommer was presented with the founding letter and the bronze Paulus medal in June 2018 by the Foundation’s Board of Trustees, Jost Brüggenwirth, as part of a special concert. 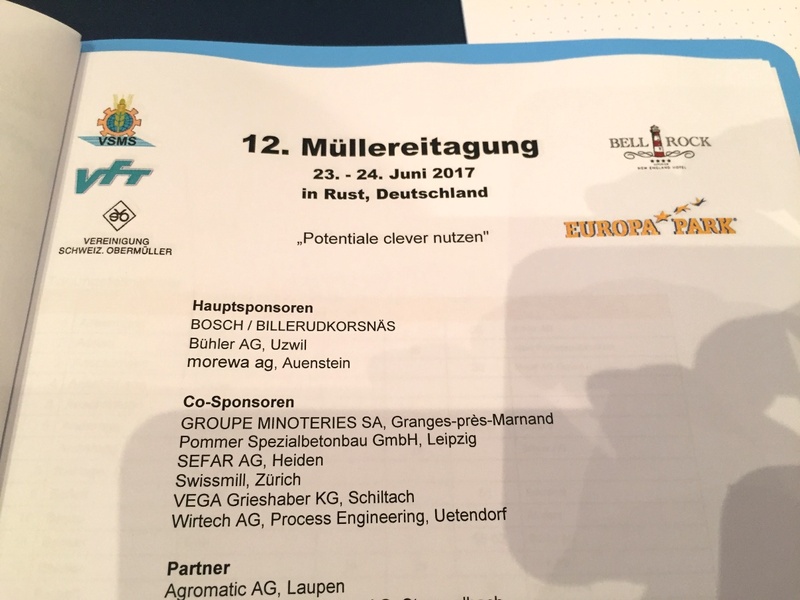 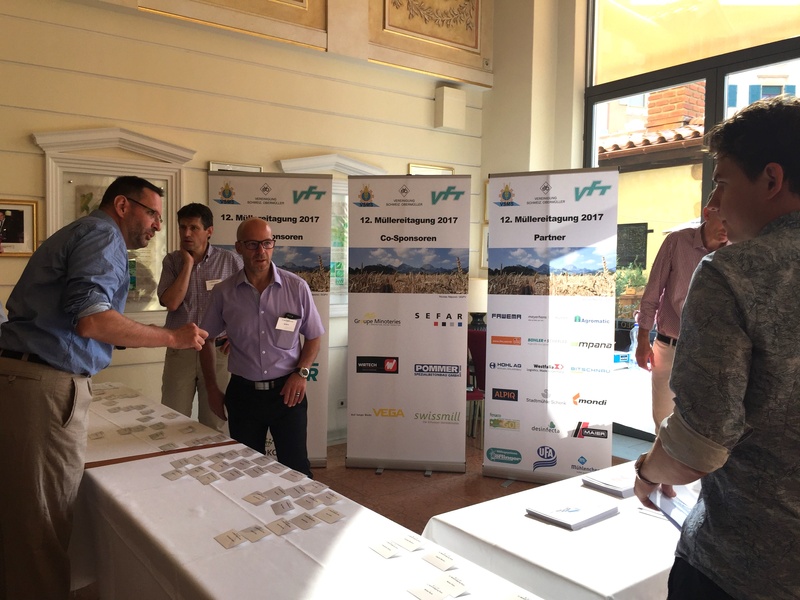 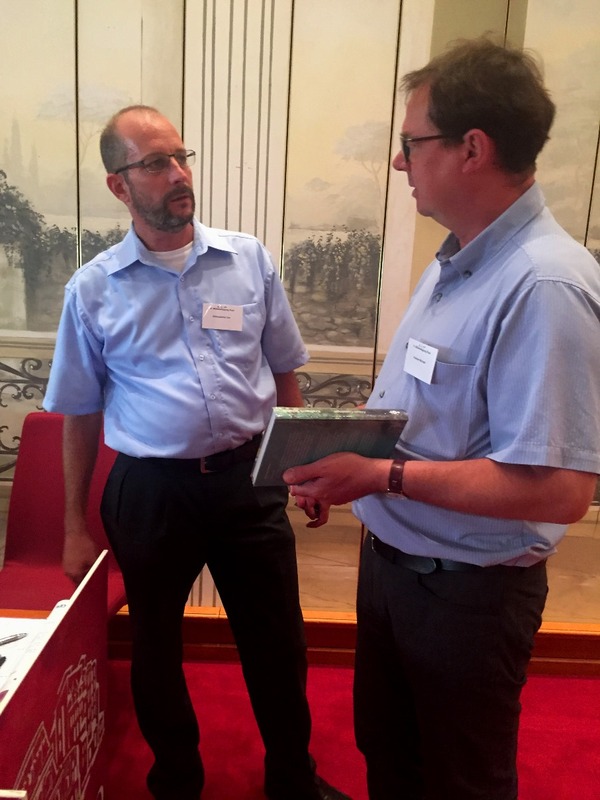 For the second time we got involved in the miller’s conference of the Swiss miller in June 2017 in Rust, Germany. 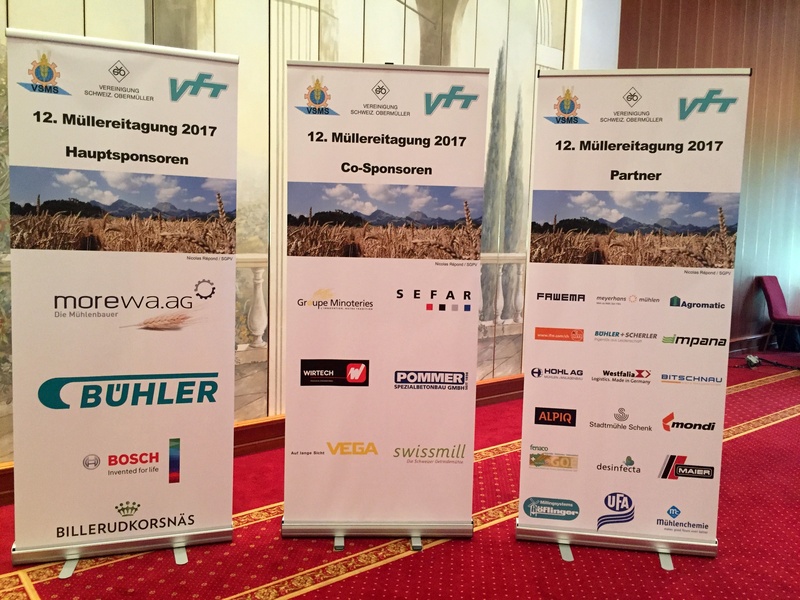 At this conference, too, we looked beyond the food industry, and there were interesting impulses also for our work in the various mills. 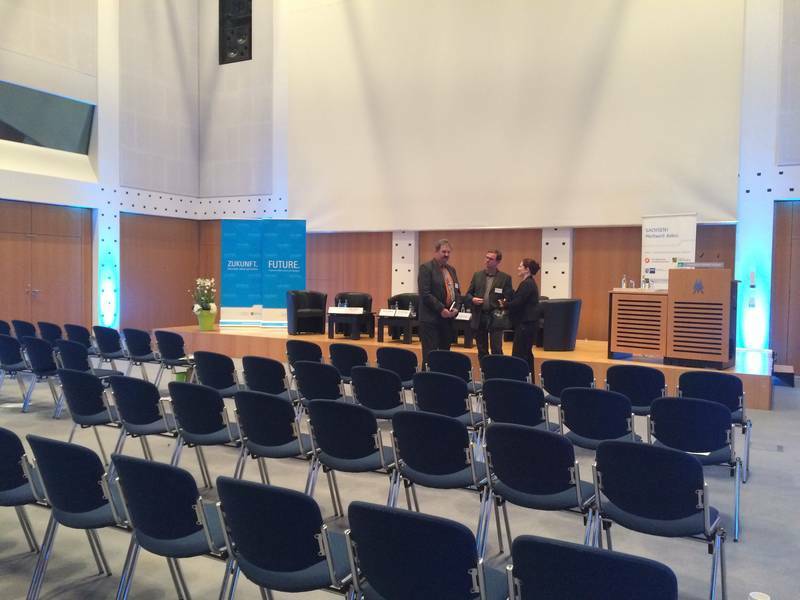 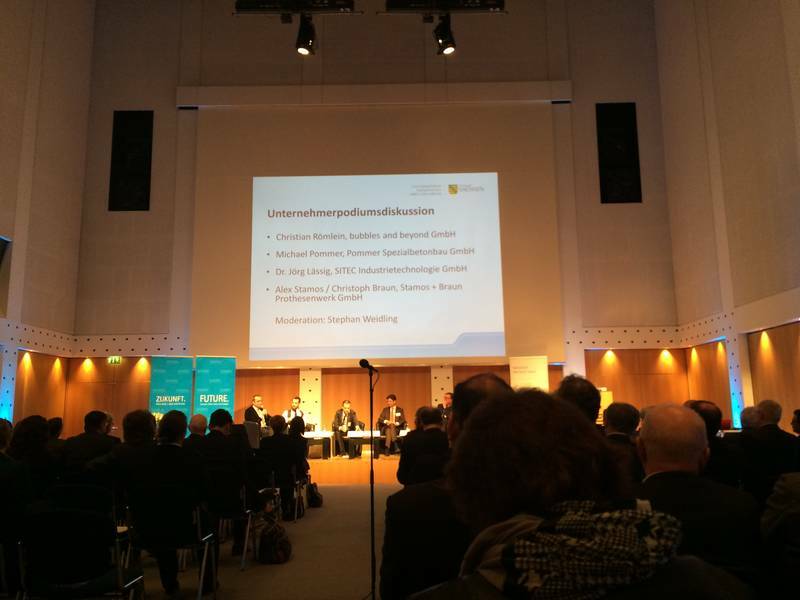 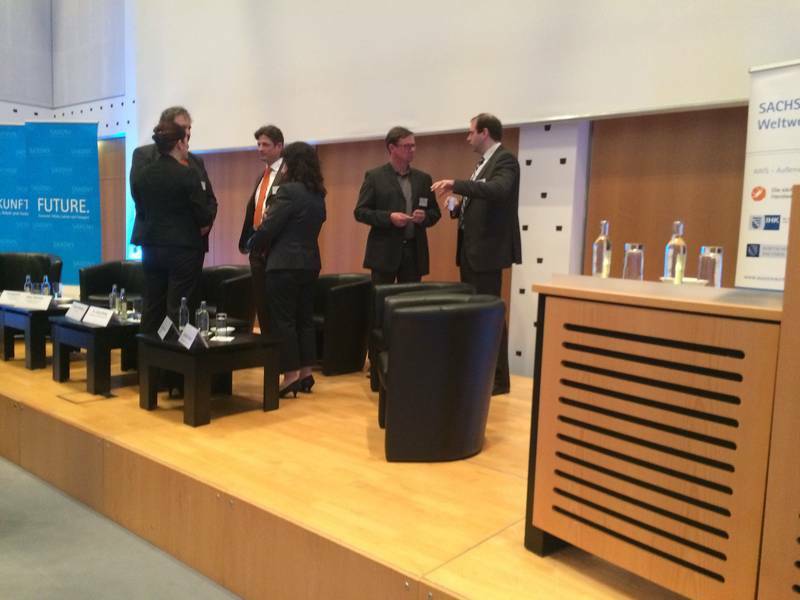 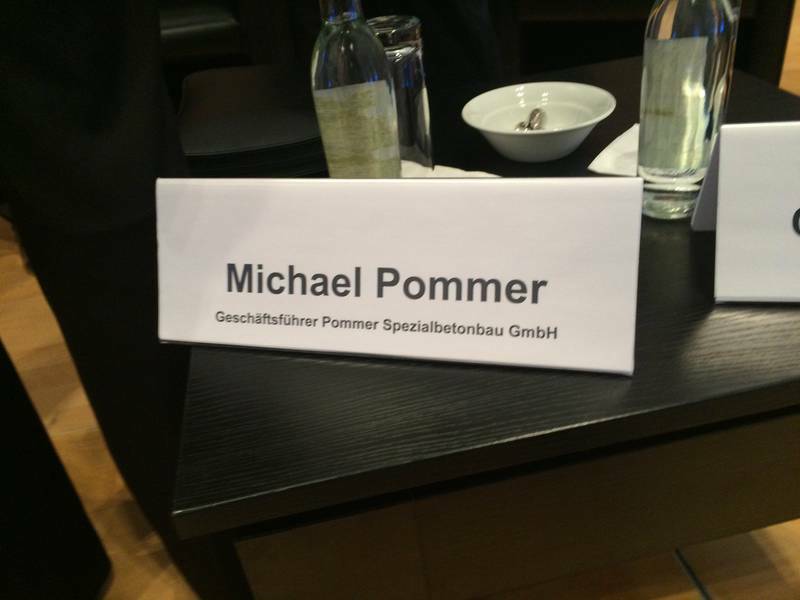 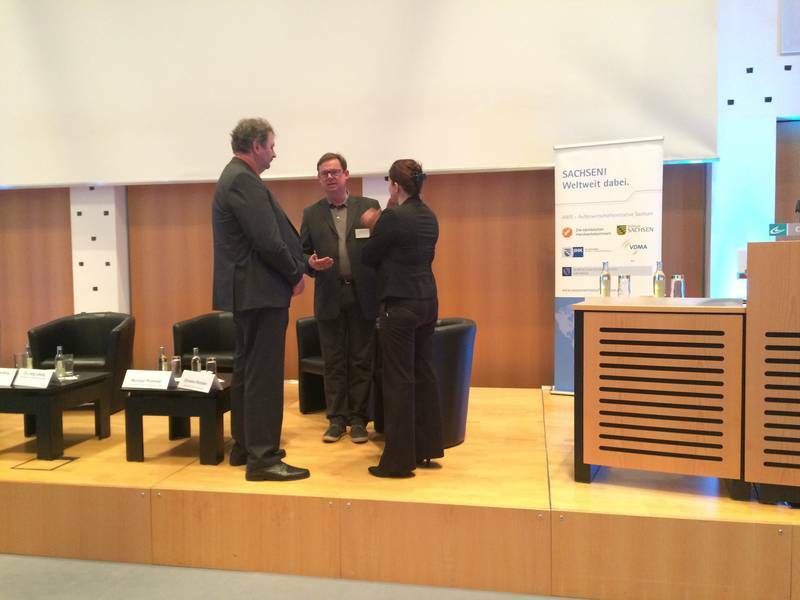 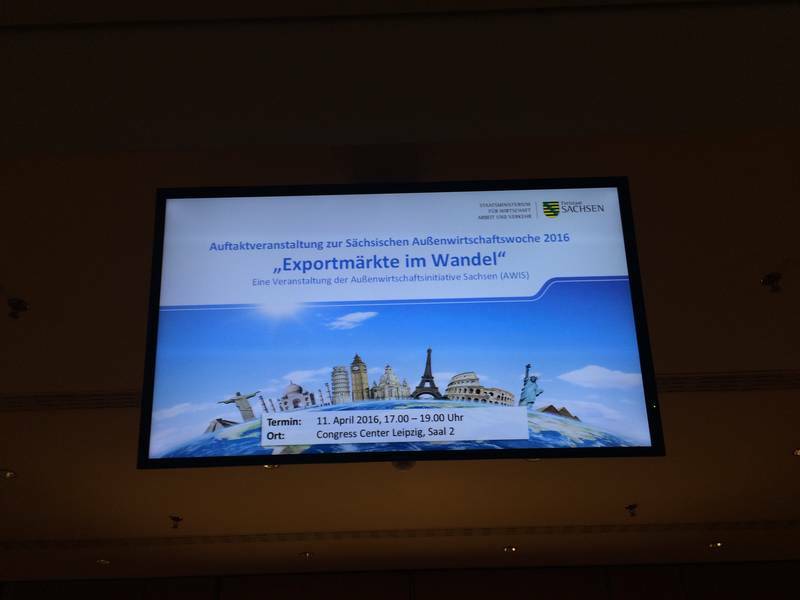 The opening event of the Saxon Foreign Trade Week on April 11, 2016 Michael Pommer sat in the podium with other entrepreneurs and discussed the topic “Export Markets in Transition” – an interesting topic for SMEs. 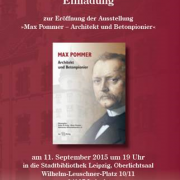 The exhibition ” Max Pommer – architect and pioneer concrete “can be seen from March to May 2016 the Chamber of Crafts Leipzig . 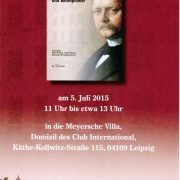 For the opening , there is a reading in the series of events of ” Leipzig reads ” at the Leipzig Book Fair. 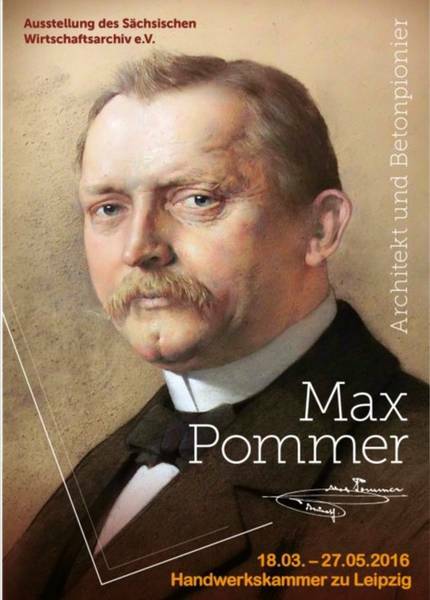 The exhibition “Max Pommer – architect and concrete pioneer” (September to November 2015) in the Leipzig city library is dedicated to 15 boards to life and extensive creative of Max Pommer. 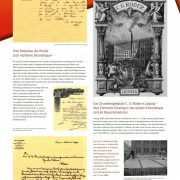 In 10 showcases personal items and original documents complement the exhibition. 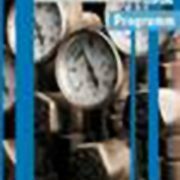 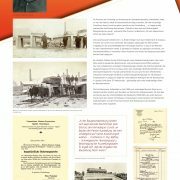 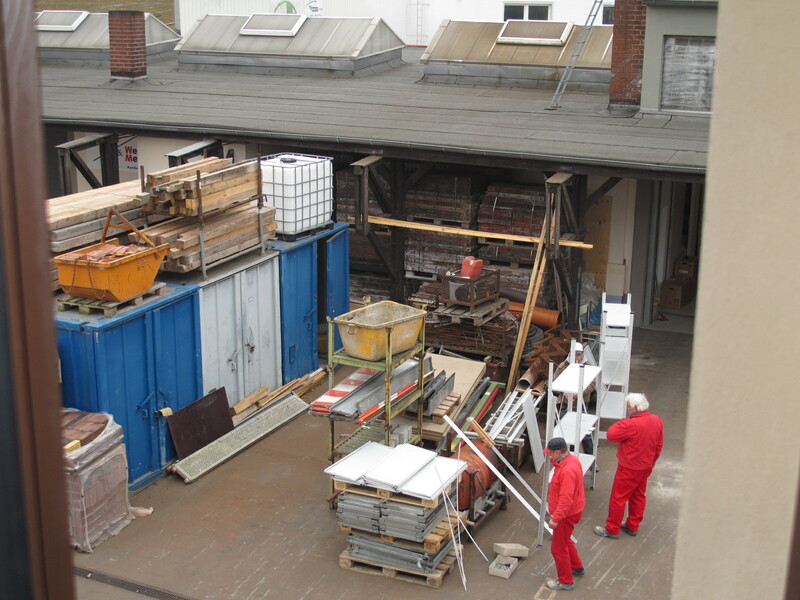 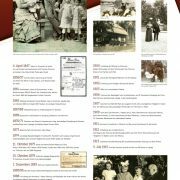 These are from the archives located in the SWA, of Max Pommer Spezialbetonbau GmbH Leipzig and the Foundation Meyer`sche Häuser Leipzig, supplemented by loans of the Pommer family, the city archives and the City History Museum Leipzig. 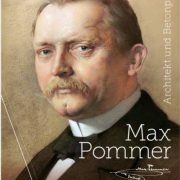 As part of the appraisal of the company founder Emil Max Pommer we support the alignment of the Matinee to death on 05 July 2015 and the opening of the exhibition at the City Library Leipzig on September 11 2015th. 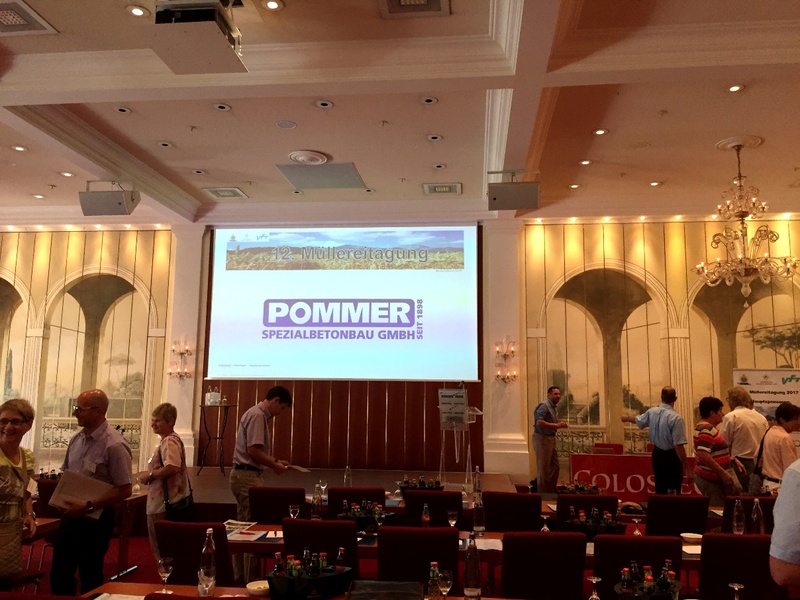 As part of the events for the Day of Industrial Culture Michael Pommer speaking at the specialist event ” Industrial Culture . 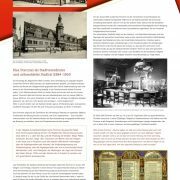 Between Nostalgia and Perspectives ” on 3 September 2015 issue , for which cultural industry experience in the company it is only fit today. 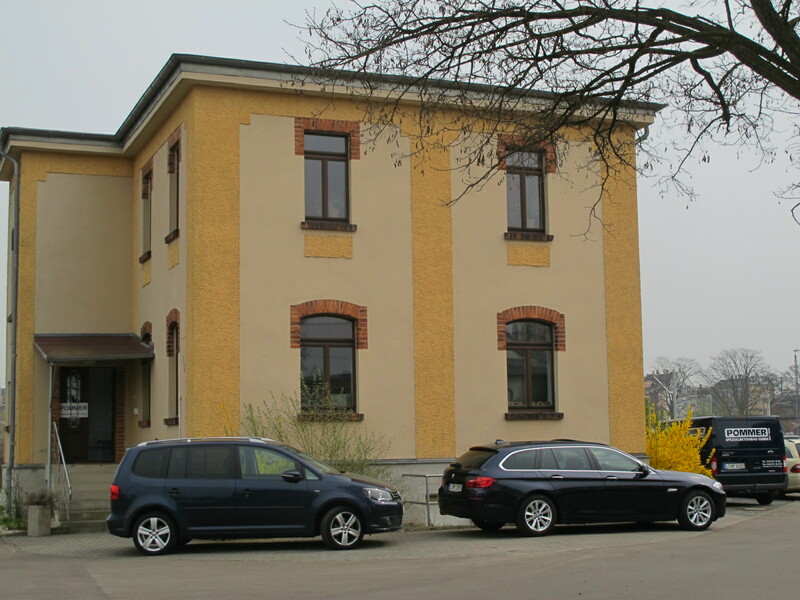 In March 2014 the company Pommer returned to his old seat back in the Saarland Street (formerly Diezmannstraße), Leipzig. 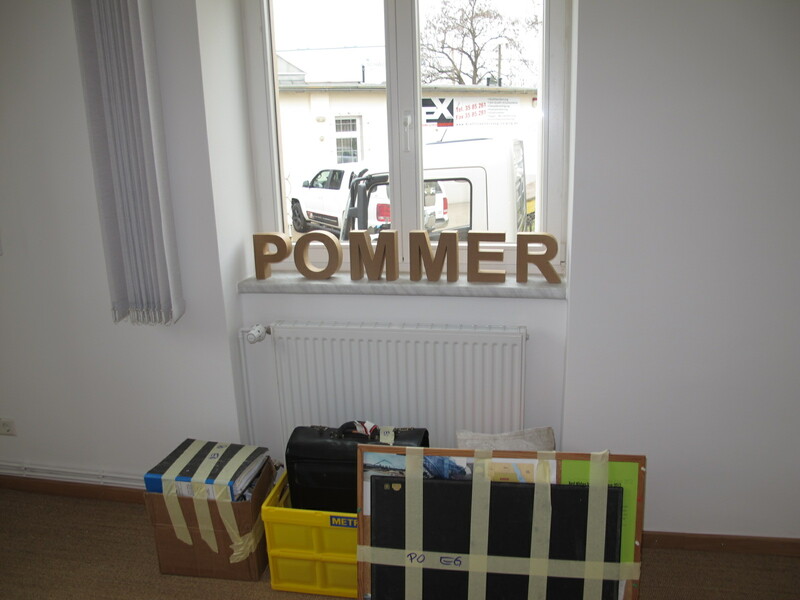 We moved into the Pommer Villa on the old Pommer factory space. 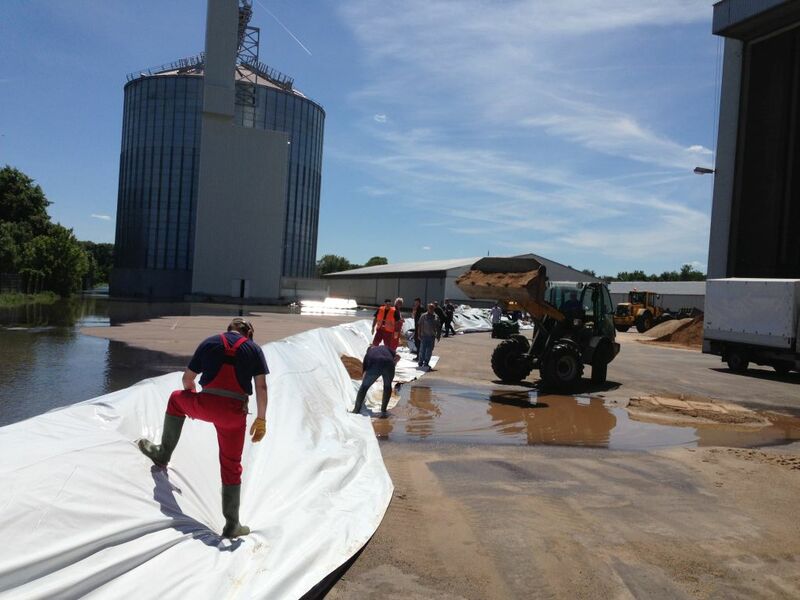 Thanks to all the helpers that made this company move possible ! 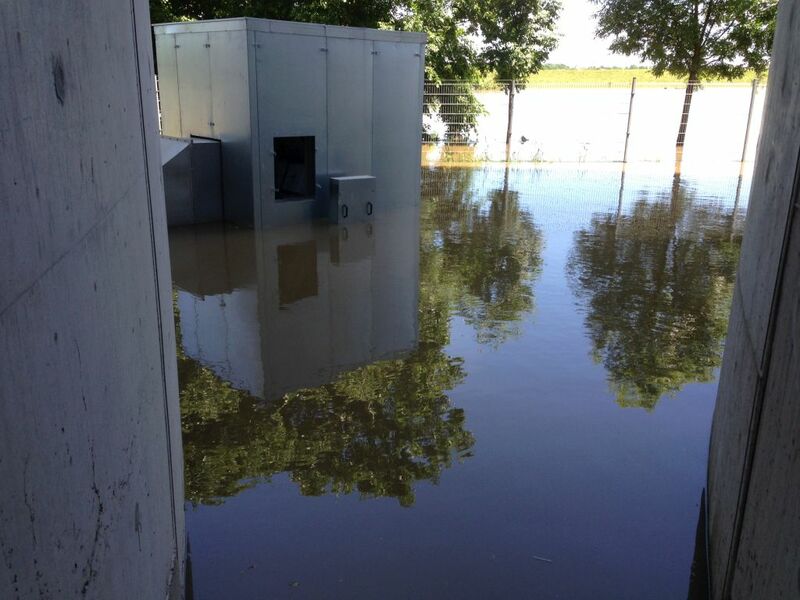 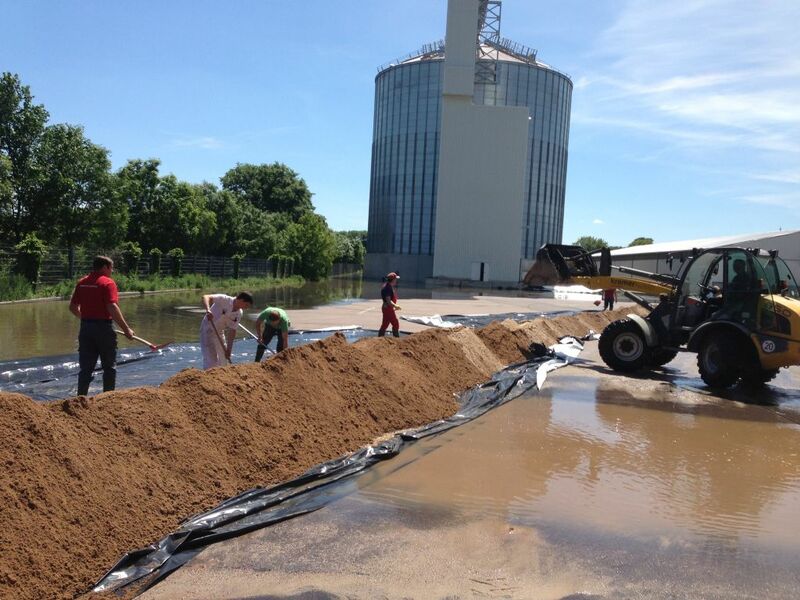 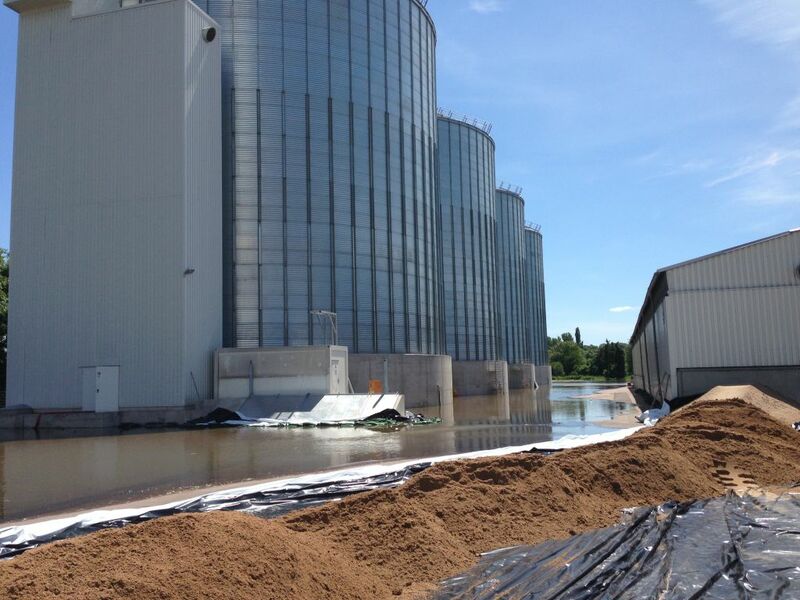 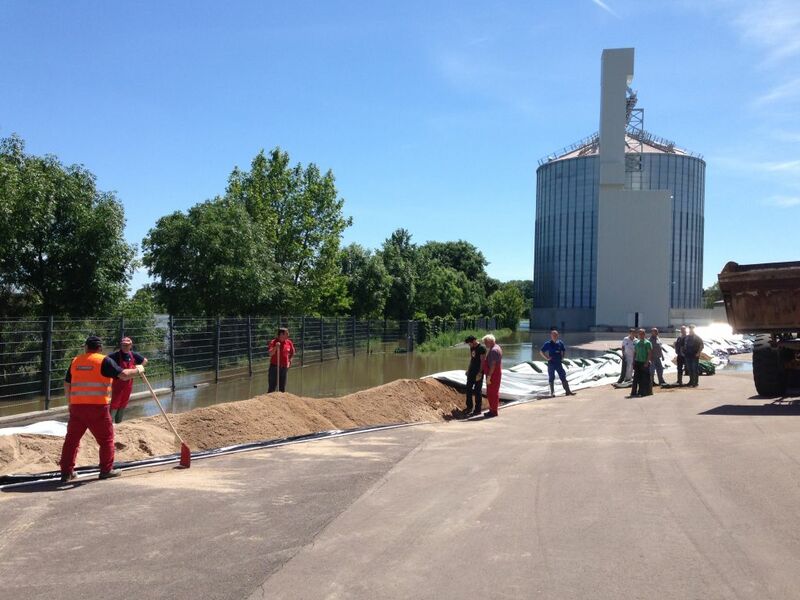 In June 2013, the Central Germany was again affected by a major flood. 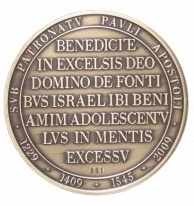 Particularly at risk were this time the territories of the river Saale. 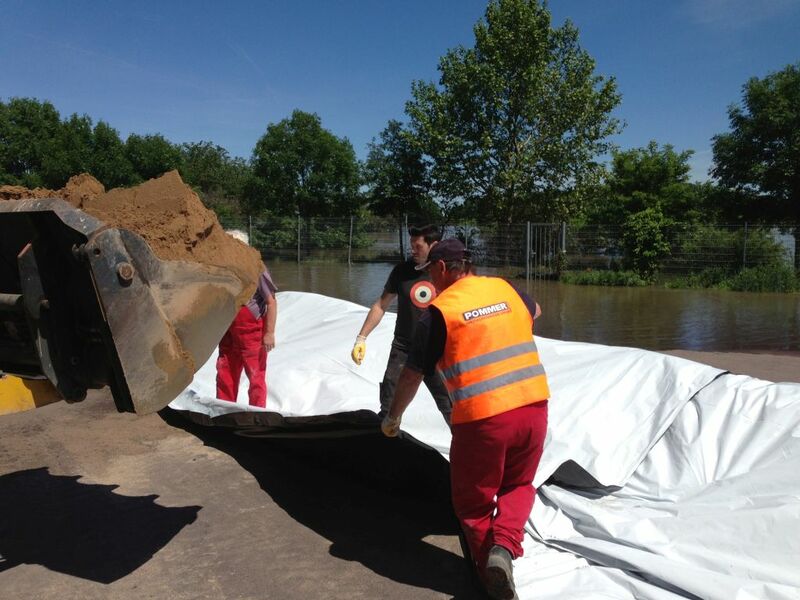 Just at the time when the apex reached the Saalemühle in Alsleben, we were with our employees on site, and were able to easily make an effective contribution for local flood protection. 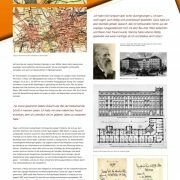 Saxon economic archive registered association.